"A mind-blowing experience – both for the riders and for the audience – that reconnects a professional bike rider with the simplest and purest soul of cycling." When filming a cycling documentary in Colombia, the first thing our Bogotá, Colombia based film production services company learned was: Colombia has its own set of rules. The making of the cycling documentary Thereabouts 3 was perhaps as much of an adventure for our team at WhereNext as it was for Australian pro-cyclist brothers, Gus and Lachlan Morton. Western film production rules don’t always work in Colombia where flexibility can be a more useful production skill than strict timekeeping. To adapt to Colombian culture and create a formula for a serendipitous storytelling, we traveled and filmed with an itinerary that could (and did) change at any moment. Schedules were made with the knowledge that they would most likely be thrown out the window where we'd need to pivot to our backup plan, and then a backup to the backup plan. 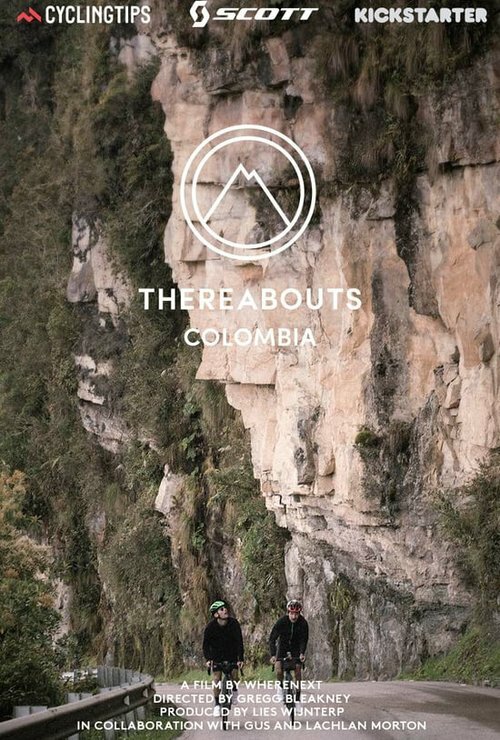 The cycling documentary film brought Gus and Lachy to Colombia to ride hundreds of kilometers through rugged, high-mountain terrain in the Andes. Many of the roads along their route were extremely remote and inaccessible just ten years ago due to security issues related to Colombia's long standing civil war. Thereabouts 3 also progresses the brother's personal story of racing professionally together again and how Lachy is now taking the step back up to the World Tour. The WhereNext production crew faced the dual challenges of logistically planning a route that was physically exhausting and far enough off-the-beaten path to give the thrill-seeking Australian cyclists a truly unique experience, including cycling over the biggest climb in the world, Alto de Letras. The brother's also evaded dogs, ate roadside empanadas, played explosive drinking games, and were tested by local young-gun cyclists, like Astana's Miguel Ángel (Superman) López . WhereNext stepped up to accommodate a highly accelerated production schedule — planning, shooting, producing, and delivering the entire 75-minute documentary in just over two months. In order to make a cycling documentary film about adventure, WhereNext needed to have an adventure ourselves. Our strategy was to immerse our viewers into a #feelsomething authentic experience by truly living that experience in the process of crafting a film.